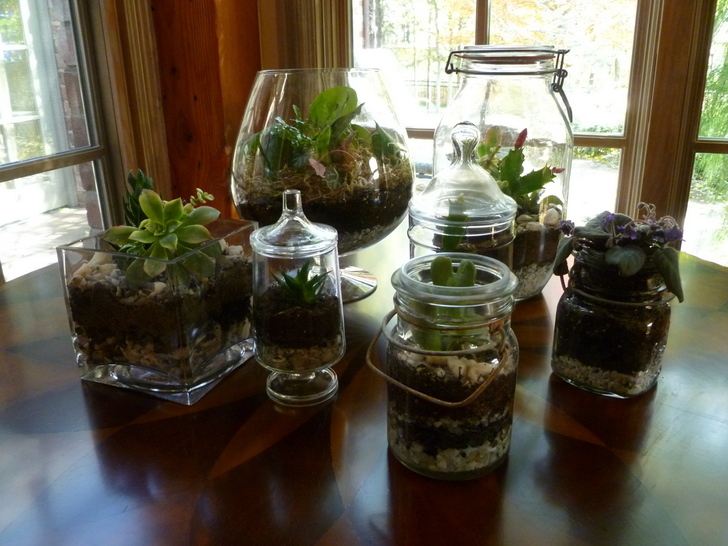 Most home terrariums are used to create a microenvironment for certain types of plants. Others are used to house not only plants but, as in the case of a riparium, are used to create a home for various types small land creatures such as frogs and lizards. Ripariums can be much more complicated to establish and maintain the average plant terrarium. If plants are what you fancy then there are simple designs for the person who is adept at paying attention to the details. One of the critical things to keep in mind is that terrariums must be moisture resistant. Even a terrarium that will be used to support desert plants must be constructed of materials that are somewhat impervious to constant contact with moist soils. The traditional plant terrarium must be able to withstand moist conditions from the top and, most importantly, to the bottom. Terrariums are much like mini hothouses. The moisture in the soil acts very much like the moisture found in earth soils, oceans, rivers and lakes. During the earth water cycle, moisture evaporates, rises into the atmosphere and returns the surface in the form of precipitation like rain or snow. The water cycle in a terrarium is very similar and can be seen in several ways. In a properly constructed terrarium, moisture will condensate on the inner surfaces and run back down to the soil. 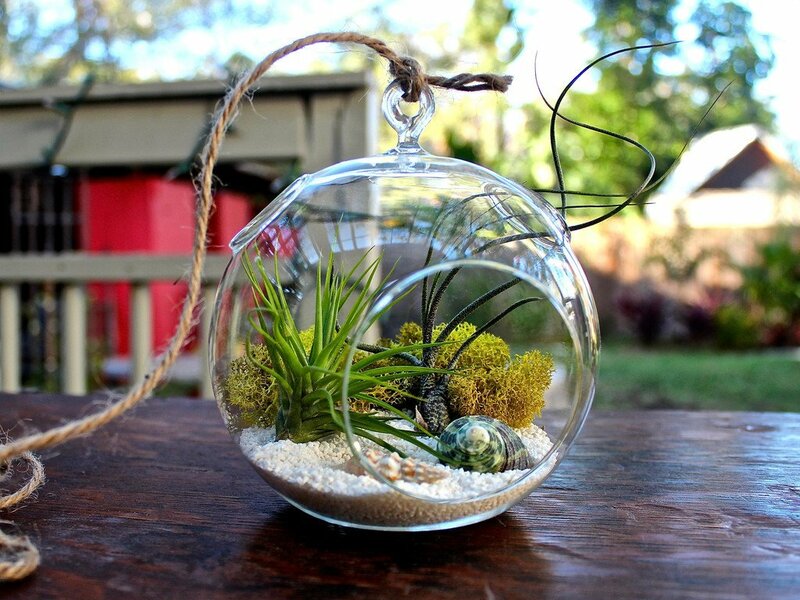 Most terrarium designs use glass, clear plastic or both, combined with a wood, plastic or metal framework. In one of the critical first steps in establishing a terrarium, the inside surfaces of the container must be thoroughly cleaned. The thorough cleaning helps to reduce the chance that adverse bacteria can develop and strain or even kill off the plants inside. Wood surfaces inside the terrarium can become a breeding group for bacteria and should be avoided unless the bottom of the terrarium is lined with some sturdy plastic. Try to stick with materials like glass and plastic for the interior that can be easily cleaned. There is no end to the types of shapes and sizes a terrarium can take. That oddball brandy snifter in the kitchen cupboard can make a really nice desktop plant environment. So can that old fishbowl in the garage. Do not overlook that old aquarium tank that at the yard sale since it would make a fine enclosure. Aquarium tanks can make a really nice terrarium for several reasons and an aquarium tank with a top lid and light will do nicely. Some species of terrarium plants may need to have more light than can be provided by ordinary room light. There are full spectrum light bulbs available that can be used to supplement ambient room light. Lighting can also add a different look to the plant display providing a variance in the color of certain plants.